Rediff.com » Movies » Bored? Solve the Kaun Kitne Paani Mein jigsaw puzzle! Bored? Solve the Kaun Kitne Paani Mein jigsaw puzzle! Here's a super fun way to while away your time! 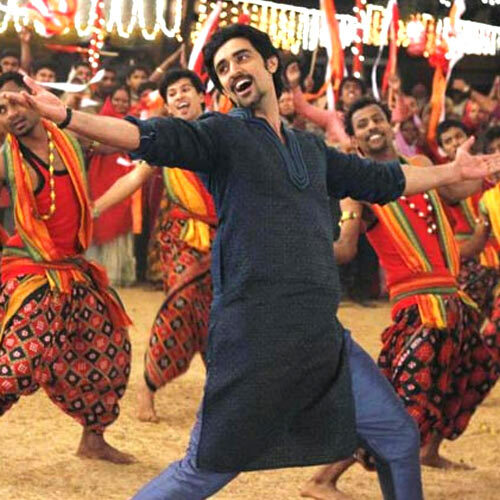 After a sabbatical of three years -- his last film Luv Shuv Tey Chicken Khurana came out in 2012 -- Kunal Kapoor returns to the big screen with Kaun Kitne Paani Mein. Set to release along side Kabir Khan's high profile Saif Ali Khan and Katrina Kaif starrer Phantom on August 28, the Nila Madhab Panda-directed drama also stars Radhika Apte, Saurabh Shukla and Gulshan Grover in lead roles. Will Kunal's David successfully take on the Goliath this Friday? Until then, here's a fun Kaun Kitne Paani Mein puzzle for you to solve! PIX: Kangana Ranaut's hip hairstyles! The BEST role you like Dhoni in. Vote!